- Mother nature wins again. The April 13 Points Race has been cancelled due to the inclement weather. The May 11 Points Race will now be Double Points. - The Friday night April 12 Test and Tune is still ON from 6-10PM. - The 2019 Season Opener Points Race Results & Points are NOW posted. 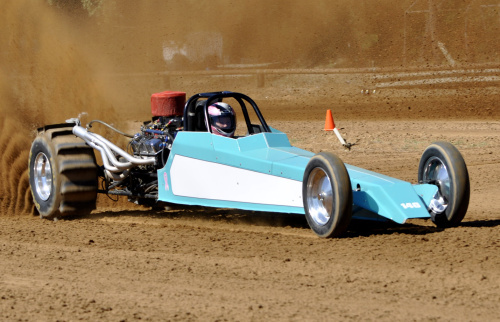 The 20th Annual Heartland Nationals again did not disappoint as it was a huge weekend of 300’ sand drag racing with racers making the trip from as far away as California, Arizona, New Mexico, Michigan and Ohio to Southeastern Oklahoma. One of those long-distance travelers stole the show in the Top Alcohol class as California’s Jim Hammond ran the table with the #1 Qualifying Position, Low ET (2.62) and the final round victory over Randy Kimbley. The big money in the Top Eliminator class stayed closer to Oklahoma as Missouri’s Terry Glasscock put his Turbocharged Pinto-powered Dragster in the Winner’s Circle defeating New Mexico’s Vickie Hall in the final round. The Texas-based JE Motorsports Team had an incredible weekend at the Heartland Nationals with Jimmy Evans taking the Pro 1 Cars win, Jackson Evans won Pro 2 Quads and Jayden Evans defeated Jace Evans in an all-JE Pro 4 Quads final. Another Texas racer Dylan Sivells earned top honors in the Pro 1 Quads class defeating Arizona’s Mike Brock in the final. Brock made three finals over the course of the weekend, falling to Tennessee’s Tommy Springer in the Friday night Quick 16 Final & coming up short in an all-Brock Racing Heads-Up ATV final Saturday night to teammate Chris Carlson. Another big winner on the weekend was yet another Texas racer as Rodney Fisher scored both the prestigious Quick 16 Cars victory as well as the 3.80 Index Cars class win. Other big winners on the weekend included: Leah Steelmon (Pro 2 Cars), Lonnie Hohmann (Pro 3 Quads), Mike Dzek (3.50 Index Cars), James Jackson (4.00 Index Cars), Bobby Kincaid (3.80 Index Quads), Nick Allen (4.00 Index Quads) and Cason Shull (Peewees). We would like to thank all our Racers, Sponsors and Fans that made this event another tremendous success at Atoka Motorsports Park. Results are posted on the "Results" page of this site, while the Mid-America series points are posted on the "Points" page just below the Atoka track points. 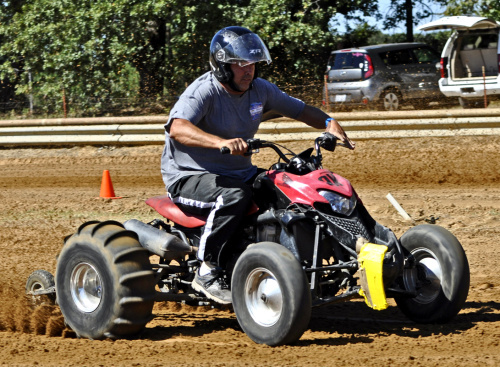 Atoka Motorsports Park celebrated it's 25th Anniversary with the traditional Fall Fest weekend in early October. This race also marked the Season Finale for both the AMP Track Points and the Mid-America Challenge Series with championships on the line in both series. John Pate turned away all challengers in the Top Eliminator (2.95 Index category) to earn the final round win as well as the 2017 Top Eliminator championship in the Mid-America Series. Amanda Mathews defeated her husband Danny Mathews in the Pro 1 Cars final round. Danny's runner-up finish earned him the AMP Pro 1 Cars track championship while Tim Feuerhelm was this category's Mid-America series victor. Nick Allen capped off an incredible 2017 season with a win in the Pro 1 Quads class at the Fall Fest event. Nick also is your champion in both AMP Track Points as well as the Mid-America Challenge series. Shawn Janise was the Pro 2 Cars class winner defeating Leah Steelmon in the final round, while Ricky Banks emereged as the Pro 2 Cars track champ. Anthony Moss turned on the final win light of the weekend in the Pro 2 Quads class with Randy Kimbley edging out Roy Cooper in a tight battle for the Pro 2 Quads track championship. Brianna Acker scored the big win in Pro 3 Quads at the Fall Fest event with Randy Kimbley locking up his second class championship of the season in Pro 3 Quads. Amaya Hernandez got the job done in Pro 4 Quads while Blaze Covey earned the points title. Emily Mathews was your Peewees class winner on the weekend. Be sure to check the 'Points' page of this site for the final rundown. See us on November 11 for the Dirt Outlaw Battle for the Belt Championship race!! Atoka Motorsports Park kept up its annual Memorial Day Weekend tradition with the 2017 edition of the Heartland Nationals. A tremendous turnout made the journey to Southeast Oklahoma for great sand drag action on the 300' sand drag strip. Okmulgee's Randy Kimbley was the weekend's Big Winner taking home top honors in the prestigious Top Eliminator (2.95 Index) category as he piloted his "Blue Dog" Dragster to the win over Missouri's Russ Bailey. 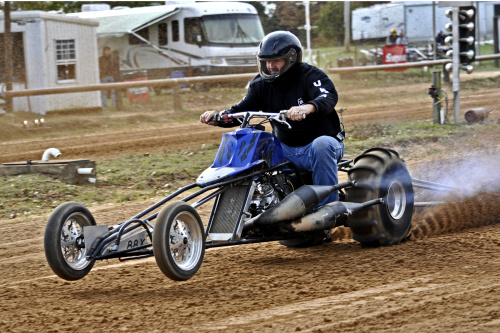 Randy was a double-up winner on the weekend as he also took the Pro 3 Quads class victory. Another double-up winner was Rio Rancho, New Mexico's Mike Dzek, who piloted his "Suddenly Broke" Dragster to the Pro 1 Cars & 3.5 Index class titles. The bragging rights in the Pro 1 Quads class stayed home in Oklahoma as Nick Allen turned on the win light over Tennessee's Tommy Springer. Other big winners on the weekend included Les Steelmon (Pro 2 Cars), Michael Hopkins (Pro 2 Quads), Blaze Covey (Pro 4 Quads), Amanda Mathews (4.00 Index Cars), Mike Brock (Heads-Up ATV), Tim Feuerhelm (Quick 16 Cars) & Bobby Kincaid (Quick 16 Quads). The next Point Series event at Atoka Motorsports Park will be on June 10, while the next special event will be the Fall Fest October 13-15. Atoka Motorsports Park has announced the 2017 race schedule. The highlight event will be the 19th Annual Heartland Nationals, held on Memorial Weekend May 26-28. This is always a huge event. AMP will also hold the big Fall Fest event October 13-15 and the "Dirt Outlaw" Belt Race to conclude the season November 11. 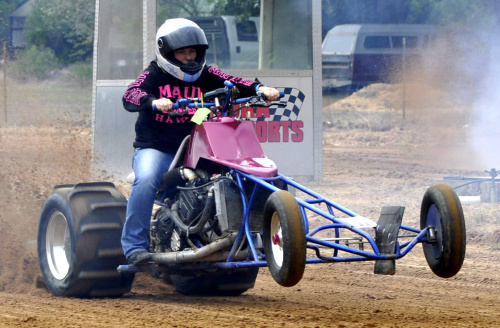 AMP also holds monthly point series event with multiple classes for both Cars and ATVs. To view the full schedule, click on the "Schedule" page of this site. Atoka Motorsports Park had an extremely competitive season in 2016 with hard fought points battles from start to finish. We want to recognize all of our track champions that put in the huge effort to take home top honors in their particular categories. 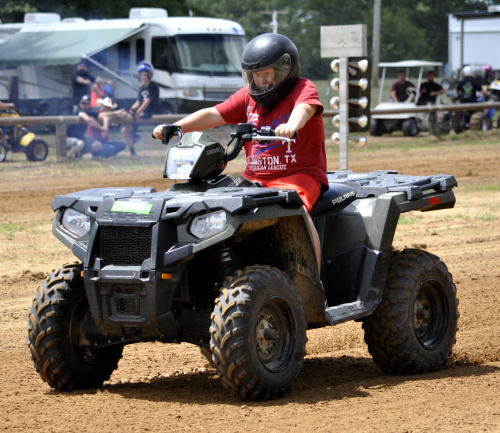 The Memorial Day Weekend tradition continued as Atoka Motorsports Park hosted the Heartland Nationals for the 18th time. Racers showed up from as far away as New Mexico and Arizona to compete in Southeast Oklahoma. The top class contested on the weekend was Top Eliminator (2.95 Index), which saw a pair of Missouri-based racers make their way to the final. Tim Hatfield emerged victorious running just over 101MPH in the final round with his turbocharged four-cylinder powered Dragster. Texas racer James Jackson nearly doubled up on the weekend as he piloted his Chevy-powered Buggy to the Friday night Quick 16 Cars win and followed that up by coming up just one round short in Sunday's Pro 1 competition. 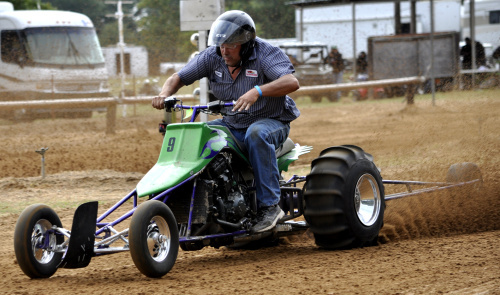 On the ATV side of things, one racer did win multiple classes on the weekend as many time track champion & event winner Randy Kimbley scored wins in both Friday night's Quick 16 Quads class as well as Saturday's Pro 3 Quads class. A full list of winners can be found on the 'Results' page of this site. We want to thank everyone for coming out to the Heartland Nationals and hope to see everyone at our monthly points races as well as our next major event "Fall Fest" October 7-8!! The 2015 AMP season was full of great racing and finished up with the Season Finale in November. All of the winners from the 2015 season were eligible to compete in the Battle For The Belt race. Nick Allen came out on top defeating Randy Kimbley to take the belt. There was also a Drawing for the points money with two racers splitting that cash. The two winners were John Pate and Amanda Mathews (pictured right). A big congratulations goes out to all of the 2015 AMP point series champions: Danny Mathews (Pro 1 Cars), Jimmy Smith (Pro 2 Cars), Luke Martin (Pro 1 Quads), Kalin Nagorski (Pro 2 Quads), Randy Kimbley (Pro 3 Quads), and Tristan Griffith (Pro 4 Quads). See everyone at AMP in 2016! Atoka Motorsports Park hosted the 17th Annual Heartland Nationals over Labor Day Weekend for the first time ever. This event typically takes place on Memorial Day Weekend, but was postponed just over two months due to the massive rains around the original date. The race action was just as good with strong turnouts in each class. Randy Kimbley was once again a top performer as he swept both days of action in the Pro 3 Quads category. A special Ironman shootout took place on Sunday where both Cars and ATVs battled for the top prize. Danny Travis representing the ATV's took home the big hardware defeating Kenny Kapple's Chevy-powered Buggy in the final round. New Mexico's Vickie Hall did a great job piloting her "Farmer's Daughter" Dragster to the 3.5 Index Cars category win. Many points battles are very close heading into the Season Finale at the October "Fall Fest" event. Check the "Points" page for the current standings & "Results" page for more results from the Heartland Nationals. 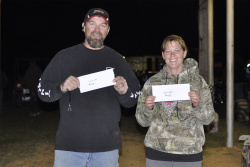 The point series season concluded on October 10-11 at Atoka Motorsports Park's Fall Fest event. Many championships were locked up heading into the event. However the Pro 2 Cars class was wide open heading into the final race, and it was Louis Shull winning the class on Saturday moving himself from 3rd to 1st in the process earning the class points championship. Below is a list of AMP's 2014 Class Champions. Full points can be found on the 'Points' page of this web site. The 16th Annual Heartland Nationals at Atoka Motorsports Park (AMP) produced one of the biggest turnouts in event's history along with some of the best racing ever seen. Atoka's Marc Luce brought out his brand new Lucas Oil Top Alcohol Dragster and defeated Michigan's Ted Lirones with a 2.74ET at 135MPH in the Top Alcohol class final round. Texas racer Courtney Stidham handled the job in the Top Eliminator class as he defeated Missouri's Terry Glasscock recording a 2.99ET at 108MPH for the win. The PTN classes put on a great show with Oklahoma's John Pate (PTN 3.95 Index Pro ATV) as well as Michigan's Bob Ramlow (PTN 3.5 Index) and Buddy Hammett (PTN Ironman) taking class victories. Missouri's MDR Racing dominated the PSDA Heads-Up classes taking three class wins while Michigan's Rigger Racing with rider Steph Bennett won the PSDA 3.7 Index category. Arizona's Kenny Hayes walked away with Hardware as he won the Quick 16 Cars category on Friday night. For full results from this event, check the 'Results' page of this web site. The 2013 AMP point series season came to an end at the October Fall Fest event. 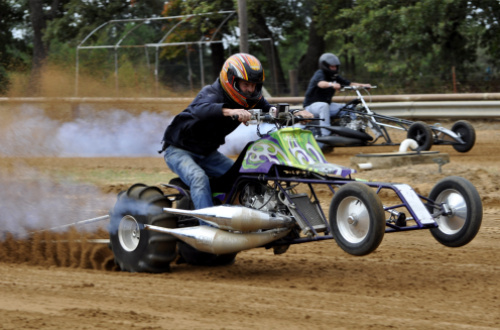 This race also served as the final race for this season's Mid-America Sand Drag Series, so racers from across the region showed up to battle it out for the top prizes. When the dust settled, Lane's Tim Feuerhelm ended up winning the Pro 1 Cars championship in both the track point series as well as the MASD series clinching both titles in a dramatic final round against tough Texas racer John Acker. Okmulgee's Randy Kimbley was also a double up champion as he earned both the AMP track championship & MASD title in the Pro 1 Quads category. On top of that, Kimbley also scored the track's Pro 3 Quads championship. Other Atoka Motorsports Park 2013 Track Champions were David Collins (Pro 2 Cars), Danny Travis (Pro 2 Quads), and Gus Griffith (Pro 4 Quads). In MASD series action, Texas racer Courtney Stidham used a string of incredible runs to take the Top Eliminator victory over 2013 MASD class champ Terry Glasscock. Tonkawa's Rod Trower brought out his Thunder Top Alcohol Dragster to take the class win with a 2.73 ET at over 130MPH. Results are updated on the 'Results' page & Points are updated on the 'Points' page of this site. Remember the AMP season finishes out with a non-points event on November 9. The 15th Annual Heartland Nationals at Atoka Motorsports Park was a record breaking show over Memorial Day Weekend. 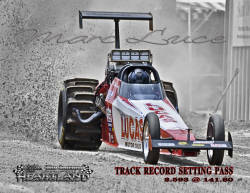 Atoka's own Marc Luce set a new track record covering the 300' sand drag strip in 2.592 seconds, which eclipses the old record of 2.618 set by Rod Trower in October of last year. Unfortunately for Luce, the new track record would not be enough in competition as Trower would take the Top Alcohol class win in a 2.78 to 2.64 hole shot decision. 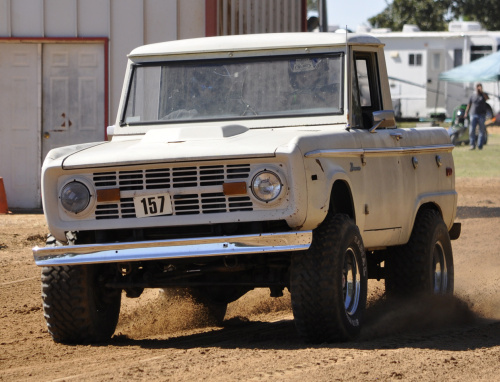 This would also give Trower the early points lead in the 2013 Mid-America Sand Drag Series championship hunt. Missouri's Terry Glassock repeated as Heartland Nats champ as he drove his Pinto-powered Dragster to the Top Eliminator title over Dee Trower. Buckeye, AZ's Kenny Hayes made the long haul to Oklahoma pay off as he took the Pro 1 Cars win with his "Flirtin' With Disaster" Jeep over 2012 MASD champion John Acker. Justin Evans took the Pro 1 Quads victory back home to Texas for JE Motorsports as he defeated Danny Travis in the final round. It was another great Heartland Nationals. To check out the full results, click on the "Results" page of this site. To view the current AMP point standings, click on the "Points" page of this site. For more on the Mid-America Sand Drag Series, go to www.NationalSandDragNews.com. The MASD will be back at AMP on October 11-12 for the Fall Fest event. Check out the full 2019 schedule on the 'Schedule' page of this site. Become a sponsor at AMP, contact derek4399@hotmail.com for more info.